Learn the best way to farm Printer Filament in The Division 2. 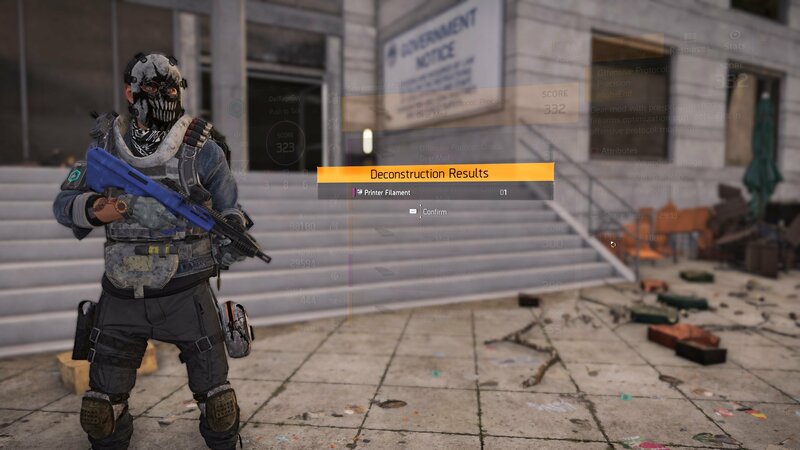 While you’ll find plenty of gear to loot while you explore the streets of Washington D.C. in The Division 2, crafting your own will sometimes provide better options for stats and abilities. If you’re planning on crafting gear, though, you’re going to need to stock up on crafting materials. Some are easy to find, but things like Printer Filament can be a bit more difficult to acquire. Here’s what you need to know if you want to farm Printer Filament. Unfortunately, since Printer Filament is a Superior Material, you’re not going to be able to find it throughout the world. Instead, you’re going to need to gather up various pieces of loot and then break them down. For Printer Filament, though, you’re going to be looking for Gear Mods and Skill Mods. Deconstructing mods will give you Printer Filament. When deconstructing things like Gear Mods, Skill Mods and Gear Protocol Mods, you’ll be rewarded with Printer Filament. The bad news here, is that you aren’t always going to be guaranteed to find mods all that much. This, of course, changes quite a bit as you level up and explore more of the world, but you’ll want to make sure you’re still holding onto the better mods that you have available. If you need to farm Printer Filament, then breaking down the various mods you have is the only way to get it. To do this, open up your Inventory and look for the gear icon in the bottom of the last column in your gear. Opening this menu will reveal all of your various Gear Mods, Skill Mods, and other items like keys. Find the items that you want to deconstruct, and then mark them as junk. This will allow you to highlight several objects at once, and then deconstruct them at the same time. Since mods can be a bit trickier to find, I suggest only deleting the mods that you know you aren’t interested in using. These items will become a lot more valuable as you progress through The Division 2’s World Tiers, so having access to them can be a huge game changer. 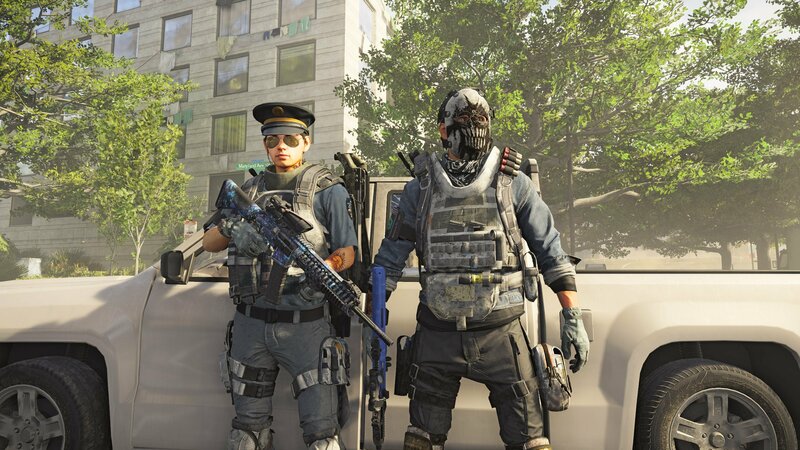 Now that you know how to farm Printer Filament, be sure to head back over to our The Division 2 guides for more help finding crafting materials, and even getting all the Hunter Masks.